for their work on this. The github is available for anyone to fork, create a branch and pull request it to be included. So want a dog? add it based on the ones you see in there already. Go nuts! Yay! Doggies to go with the kitties! What has been, will be again. I love it! 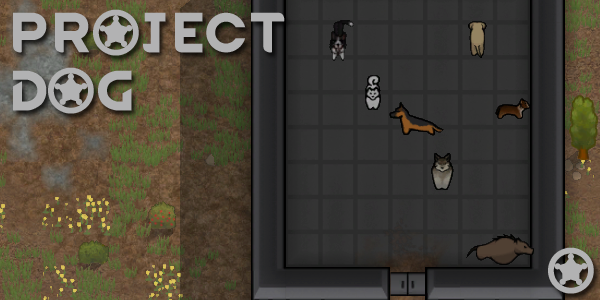 Now all my colonists can have their own personal German Shepherd guard dogs! Samoyed will be incoming soon, Stinkycat752 has done a bang up job on it. I'm new to this, so let me know if there are any problems. Thanks for inspiring me to finally dive into modding. I love the mods you've made, Skullywag. Quick 1.4 for some stat tweaks and a new preview image. Apologies. I believe I figured out how to pull request. Am I the only one who finds it weird to have one dog drawn with its tongue sticking out when none of the other dogs in the game are? Awesome, added a couple of comments, only little tweaks to be made.